The practice of calling attention to false stories dates back to battles between progressive reformers and corporate media outlets. It started after the inauguration, when he used it to discredit stories about the size of the crowd at the event. He hasn’t let up since, labeling any criticism and negative coverage as “fake.” Just in time for awards season, he rolled out his “Fake News Awards” and, in true Trumpian fashion, it appears he is convinced that he invented the term. These sensational clips were often picked up – or copied – by news gathering agencies and sold wholesale to newspapers. They cascaded throughout the media system because, at each point, publishers realised they could make money by reprinting the stories. Hearst’s shameless New York Journal tried to muddy the waters more, championing the cause of unveiling fake stories to deflect criticism of its own made-up stories. Running a fake news bunco-steerer scheme to entrap rival Joseph Pulitzer’s New York World in 1898, it printed a fake dispatch about an artillery officer named Reflipe W Thenuz – a rearranged version of “We pilfer the news.” The bait worked. 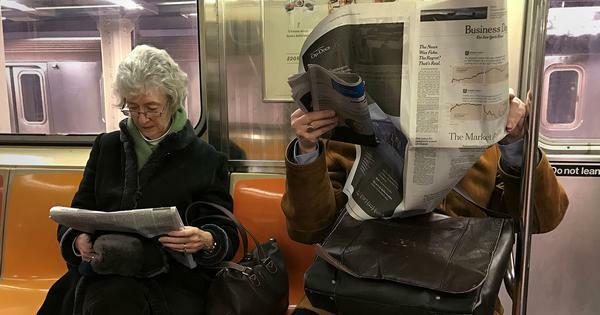 For weeks, the Journal drove circulation by denouncing dozens of newspapers – not just The World – who fell for the con and had copied or reprinted the Journal’s fake news. 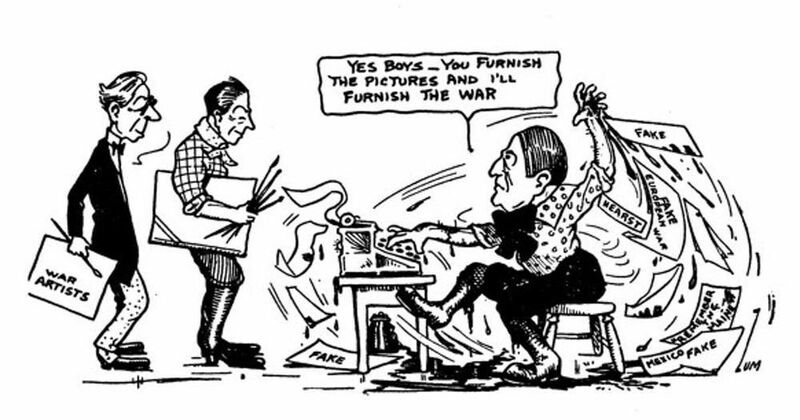 After the US entered the war, newspapers and journals that cried fake news about pro-war propaganda were censored by the state and pilloried by media syndicates that profited from war coverage; the decimated radical press lost ground. Matthew Jordan, Associate Professor of Media Studies, Pennsylvania State University.